Woman Injured in Wilson Apartment Shooting; Can Victim Seek Justice, Compensation? Did negligent security contribute to this Columbus apartment shooting and are justice and compensation available to the victim? Security measures are under scrutiny after a 26-year-old woman was shot in the back while walking with her two sisters outside a Columbus apartment complex Saturday afternoon, September 29, 2018. According to The Columbus Ledger-Enquirer, gunfire erupted outside the “Wilson Apartments…near the 316 Building on Seventh Avenue at 32nd Street.” The female victim was transported to “Piedmont Columbus Regional” with injuries. Her identity and current condition have not been released. The complex has an extensive history of gun violence, according to WRBL and WTVM reports. 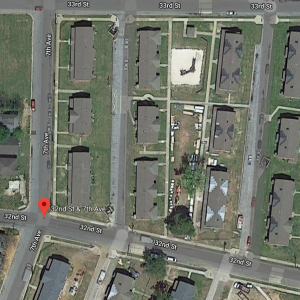 Prior shooting investigations occurred at the “Wilson Homes Apartments” in July 2018, May 2018, January 2018, March 2017, and April 2013. Was negligent security a factor in this senseless Columbus apartment shooting? Read Our Legal Take below to find out if the victim may have legal avenues for justice and claims for substantial compensation in Georgia. What additional security measures, such as gated entry, bright lighting, fencing, monitored surveillance cameras, and security patrols, were implemented by the apartment complex owner and management following prior media reports of violence in the area? By law, property owners in Georgia are required to protect all those legally on the premises from any foreseeable harm. Should the facts of this matter reveal that the apartment complex owners failed to provide adequate security, the victim may seek justice and elect to pursue legal claims for her injuries.